Feast your eyes on the ruins of an ancient Sri Lankan civilisation depicting the rich cultural haven that is part of our island home. Welcome to the picturesque city of Anuradhapura which is the proud capital of the North Central Province and is ideally located 205 km north of Colombo. Revisiting its roots, the city once served as the 3rd capital of the Rajarata Kingdom after Tambapanni and Upatissa Nuwara respectively and further functioned as the nation’s capital from the 4th to the 11th century B.C. Anuradhapura Travel will allow you to immerse in the true Sri Lankan culture. Voyage to this scenic masterpiece and learn of its many tales that have been related through every generation. Renowned as one of the eight World Heritage Sites of the country, the city is considered sacred amongst the Buddhist faith and is a famous pilgrimage site. The iconic city of Anuradhapura represents the structural brilliance of a once thriving kingdom. 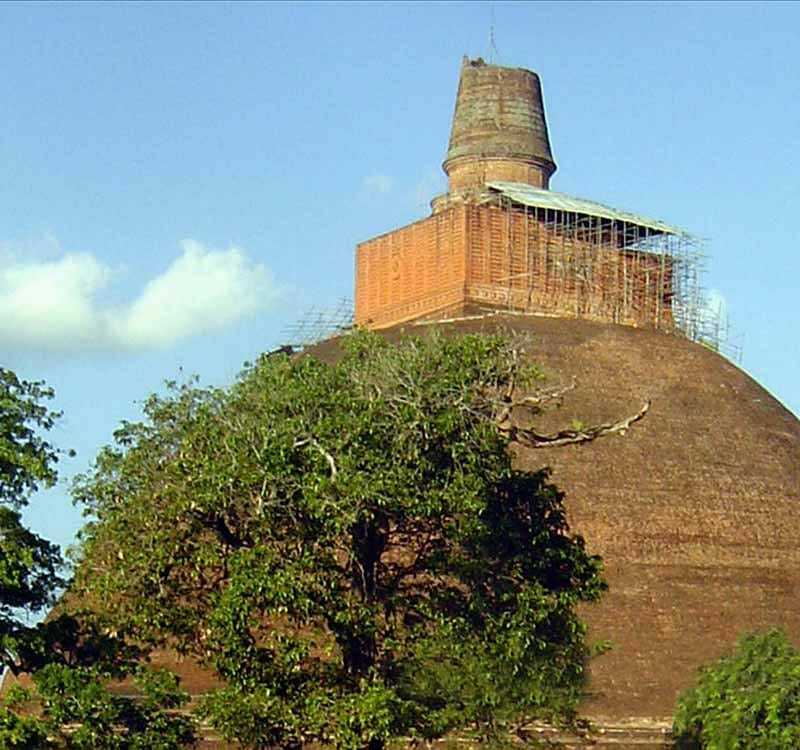 One will come across a fine spread of stupas, dagobas, palaces and reservoirs scattered across the landscape that constitute the grandeur of Anuradhapura. As you begin to discover its many features and intricate details, you will come to learn that the city once possessed some of the world’s most complex irrigation systems ever known. A number of tanks were constructed by the ruling kings to fertilise the lands of the farmer community. Perhaps its most revered location is the Jaya Sri Maha Bodhi, a sacred fig tree which was brought to this country by Sangamitta Thera and was later planted in the Mahamewnawa Park by King Devanampiya Tissa in 288 B.C. Additionally the Ruwanweli Seya stupa, the Abhayagiri dagoba and the Jetawanarama stand testament to the rich heritage of this cultural hub of the island. We invite you to come experience Anuradhapura and revisit a golden era in this land we proudly call Sri Lanka.